Children learn when they're having fun. The Play Smart fun-first philosophy has proven hugely successful with children, parents, and educators. 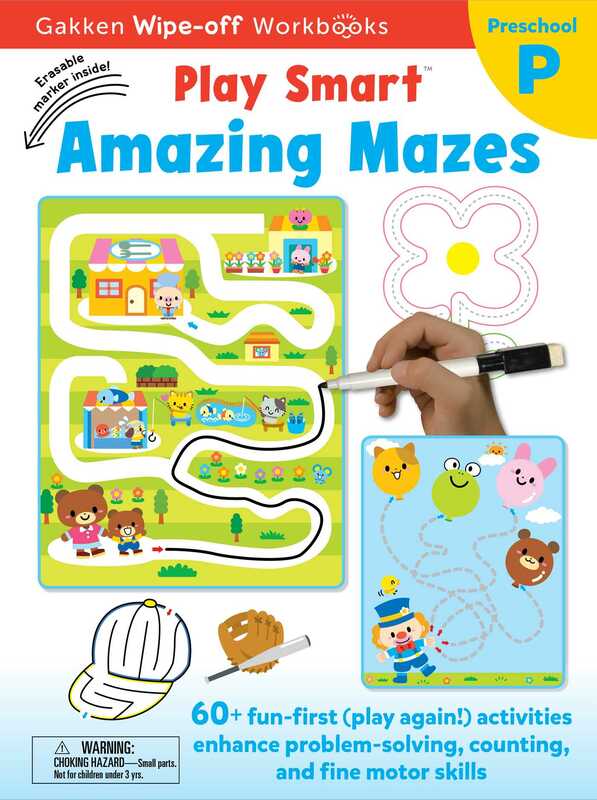 Amazing Mazes includes more than 60 engaging puzzles that help to hone preschoolers' problem-solving skills and enhance fine motor coordination. Wipe-off pages, and a set of different challenges for every activity make for hours of entertainment. The books are designed so that the puzzles get harder as you move through the book, helping to build a sense of independence, and confidence. Lively, colorful art, a set of 4 erasable markers, practice worksheets, and doodle pages complete the package. These award-winning, kid-tested activities have won over millions of fans around the world.